I’ve just gotten word that Elements is closing. No. No. No. But yes, it’s true. On January 1. Unless some buyer surfaces between now and the New Year, Elements will be a thing of the past. Ouch. Not good for the NEK. Not one bit. Next Article The Foreclosure Next Door: Occupy Guildhall? Thanks Laura. Nice to know we have and had such great fans. 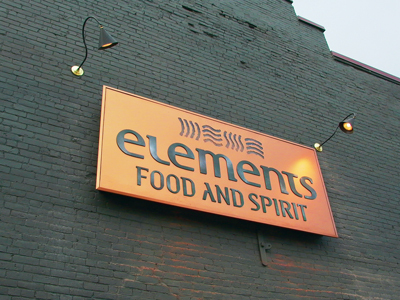 I have been a patron of elements food and spirit for many years and I must say this news saddens me. Yes, it was very sad. However, since then, it came under new ownership as Bailiwick’s (from Littleton, NH) and although I haven’t been there yet, I understand it’s pretty good!